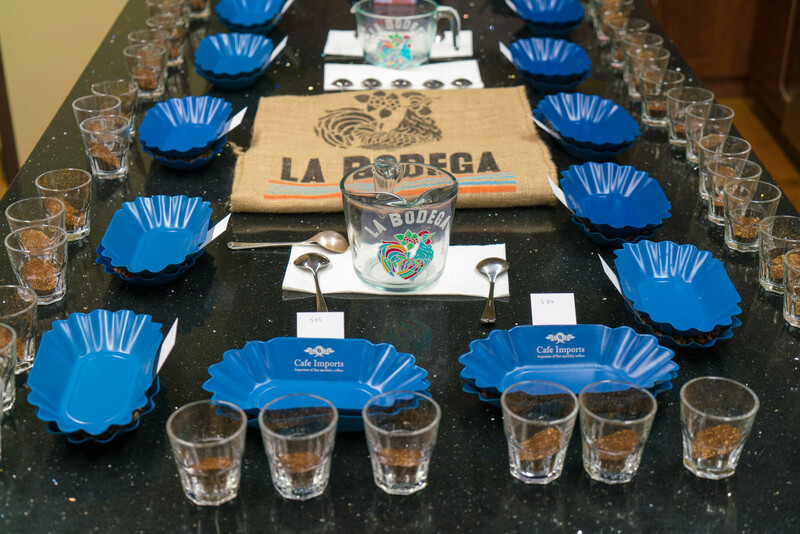 As La Bodega operates in tandem with counter parties from all over the globe, we can ensure that every coffee we offer has been cupped by multiple professionals, multiple times throughout its journey from the farm to our offerings page. Once we select a coffee as an offering, the arrival shipment is thoroughly cupped and vetted. We then publish our tasting notes and averaged score once the coffee is available in our shop. We highly suggest that coffees are sampled prior to purchase to ensure calibration between your company and ours. Samples come in 1-pound increments and ship for free via FedEx Ground within 48 hours of ordering. We consider sample roasting to be a bit different from production roasting, roasting light enough to taste potential defects but dark enough to develop sugars and the full potential of all innate flavors.